Why do you need to finalize a transaction? Paypal payments can be processed with Saferpay without much effort. This chapter describes what needs to be considered in this regard. The corresponding Saferpay eCommerce licence and thus the existence of a valid identification with a username and password for the Saferpay system. Availability of at least one active Saferpay terminal via which payment can be carried out and availability of the associated Saferpay TerminalId. A valid PayPal merchant account. Attention: For PayPal activation on the Saferpay terminal, please inform our activation service cs.ecom@six-payment-services.com about your PayPal merchant account ID and the desired currency. To enable processing of PayPal payments via Saferpay a few settings must be first specified in the PayPal Mercahnt account. Click on the profile icon on the top right side of the page. From the Business Profile menu, select Account Settings. The API Access dialogue appears. 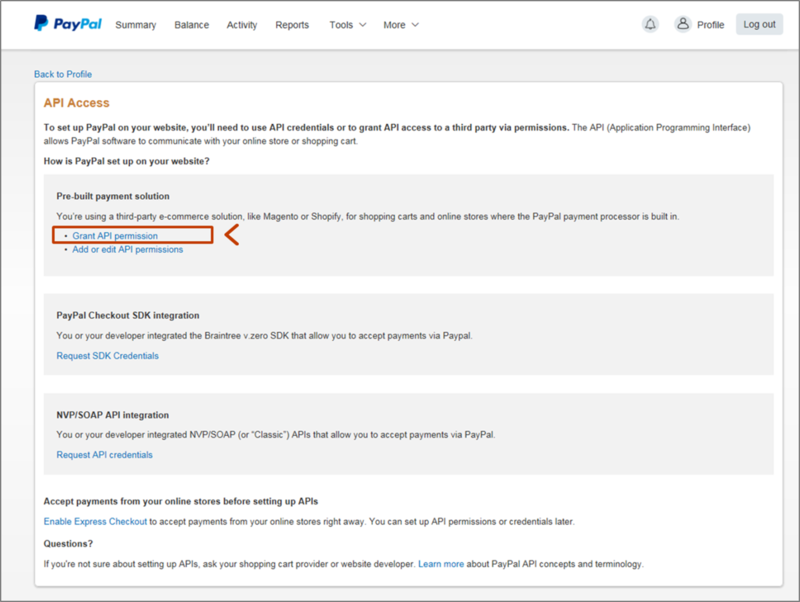 Click on Grant API permission under the bullet point Pre-built payment solution. Enter be-sfp_api1.six-group.com into Third Party Permission Username box. Click on Lookup. Issue a refund for a specific transaction. Obtain authorization for pre-approved payments and initiate pre-approved transactions. Accept or deny a pending transaction. Issue a refund for any prior transaction. PayPal Seller Protection protects you against payment default when your customer pays for your goods or services with PayPal. Occasionally, an expected payment does not arrive because the customer has insufficient account funds or there is a delivery fault. Your buyer may revoke any payment – for example, when credit card fraud occurs. If a credit card payment or direct debit is revoked (chargeback), the sum will automatically be returned to the bank or to the customer’s card issuer. In these cases, PayPal will deduct the credited amount from your PayPal account. If Seller Protection then enters into force, PayPal will refund the amount to you after the case is closed. The goods will then be sent to the buyer address as appears in the transaction details and the PayPal account. For PayPal Seller Protection to be valid when your customer uses PayPal to pay via Saferpay, it is imperative that the address details are forwarded to Saferpay. The Saferpay Payment Page can help in forwarding the address parameters in the Payer container with the delivery address, or you can use the Saferpay Payment Page’s own address form. For Canada, USA and Mexico, specification of the province or the state with the parameter CountrySubdivisionCode is required. The abbreviation which must be forwarded corresponds to the two-digit code of the province or the federal state per ISO 3166-2. As soon as these attributes have been forwarded, Seller Protection comes into effect. 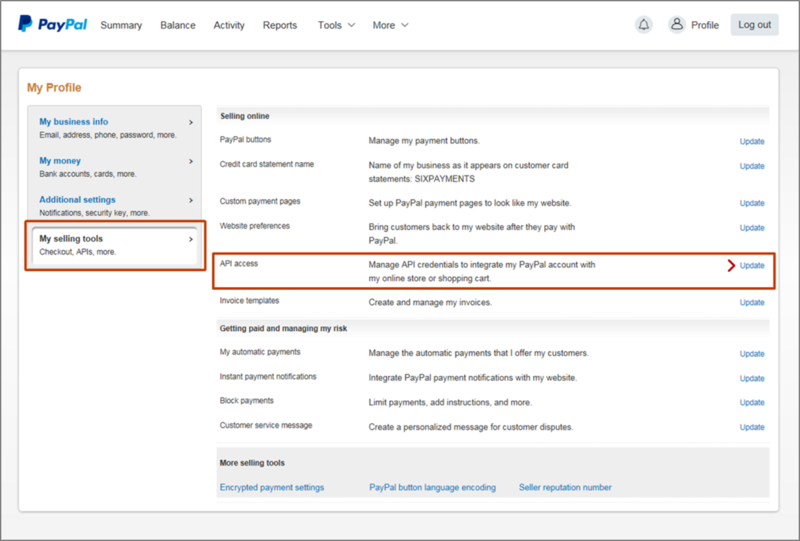 PayPal verifies the supplied address details with the data filed by the buyer and refuses payment if the registered address does not concur with the specified address. 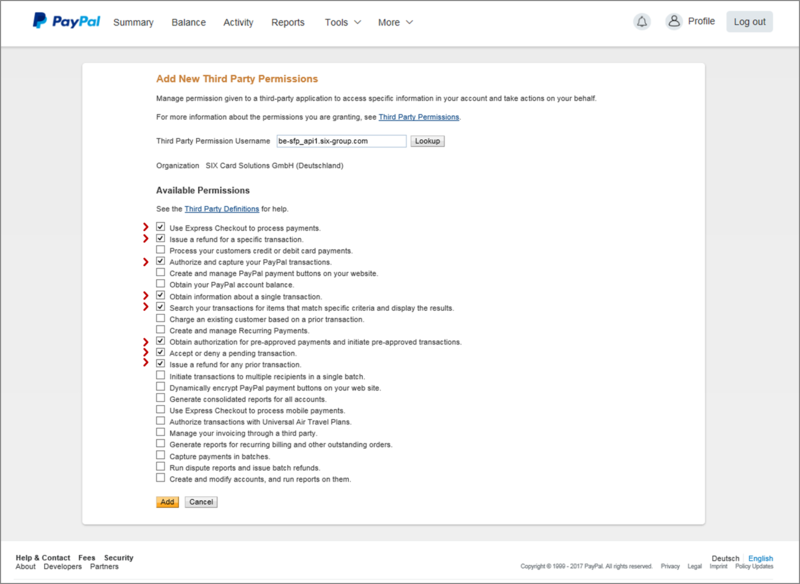 With Partial Capture, it is possible to book a PayPal authorisation in several individual steps. For this, additional parameters must be forwarded with Transaction Capture in the Partial container. With Partial Capture, the booking of an authorised amount is possible in up to ten partial steps. The total number of individual bookings may not exceed the authorised amount. The OrderPartId parameter must be unique for a partial booking, so as to be able to refer to it later in follow-up actions, such as a credit note payment. With the parameter Type, it is determined whether the amount that is to be booked is a partial step or a final booking. Unlike credit cards, that give the merchant a certain guarantee for the authorized money, PayPal reserves the right to deny the payout of a transaction, if the solvency of the account holder changes negatively after the authorization. Therefore Saferpay claims the money directly, once the Capture of the transaction has been successfully executed. If the money cannot be claimed, the capture then returns an error. We generally recommend to execute the Capture as soon as possible, to avoid any issues. Warning: PayPal does not support the iFrame Integration! PayPal actively blocks the iFrame-Integration. In order to circumvent this issue, the Saferpay Payment Page will break out of the iFrame and display the PayPal website full-size, in order to make a payment possible. However, please keep in mind, that the ReturnUrls will also be displayed full-size! OrderId: PayPal requires the Payment => OrderId to be unique. Saferpay however does not limit the use of the OrderId in any way. If you use PayPal, you have to make sure, that your system submits unique OrderIds for every PayPal-transaction, otherwise you will get an error-message during the authorization.